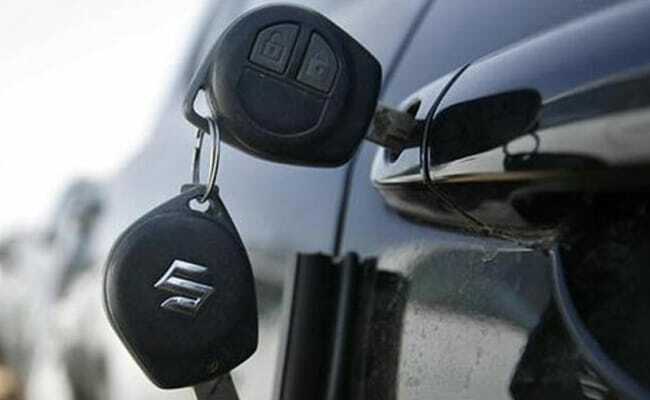 In the April-September period this fiscal, Maruti Suzuki India (MSI) exported 57,300 units of passenger cars as against 54,008 units in the year-ago period, up 6 per cent, according to the latest data by Society of Indian Automobile Manufacturers (SIAM). In the April-September period this fiscal, Maruti exported 57,300 units of passenger cars. New Delhi: Maruti Suzuki India has become the largest passenger cars exporter from India in the first half of the ongoing fiscal, dethroning Hyundai Motor India Ltd which has now been pushed to the fourth spot behind Volkswagen and General Motors. The long-running number one exporter, Hyundai Motor India Ltd (HMIL) on the other hand shipped 44,585 units as against 63,014 units in the year-ago period, a decline of 29.25 per cent. The company is now behind Volkswagen and General Motors India in terms of export of passenger cars from India. During the first half of the fiscal, Volkswagen India exported 50,410 units at a growth of 16.92 per cent. It is now the second biggest exporter of passenger cars from India behind MSI. Last year, it had exported 43,114 units during the same period. Interestingly, General Motors (GM) which had on May 18 this year decided to stop selling its vehicles in India after struggling for over two decades to make a mark, is now the third biggest exporter of passenger cars from the country. In the first half of the fiscal, GM exported 45,222 units as against 30,613 units in the year-ago period, a growth of 47.72 per cent. The company exports vehicles from its manufacturing plant at Talegaon in Maharashtra. It has sold its first plant at Halol in Gujarat to MG Motor India, an arm of China's SAIC. Another US auto major, Ford also posted impressive growth in exports of passenger cars from India during the period. The company's overseas shipments stood at 42,412 units as against 31,467 units in the same period last fiscal, up 34.78 per cent making it the fifth biggest exporter from India. Nissan Motor India, which was the third biggest exporter last year saw its overseas shipments during the first half of the fiscal decline by 37.11 per cent to 30,872 units from 49,091 units in the same period last fiscal. It now occupies the sixth spot. Tata Motors Shares Fall Over 10% In Two Days. Should You Buy?